Sun and fun is around the corner and there’s nothing better than a gay spring getaway or a summer festival. If you’re not sure where to go this year, why not attend one of these gay events happening all around the world? Whether you head out for a gay spring break or a summer pride, this list of events is sure not to disappoint! 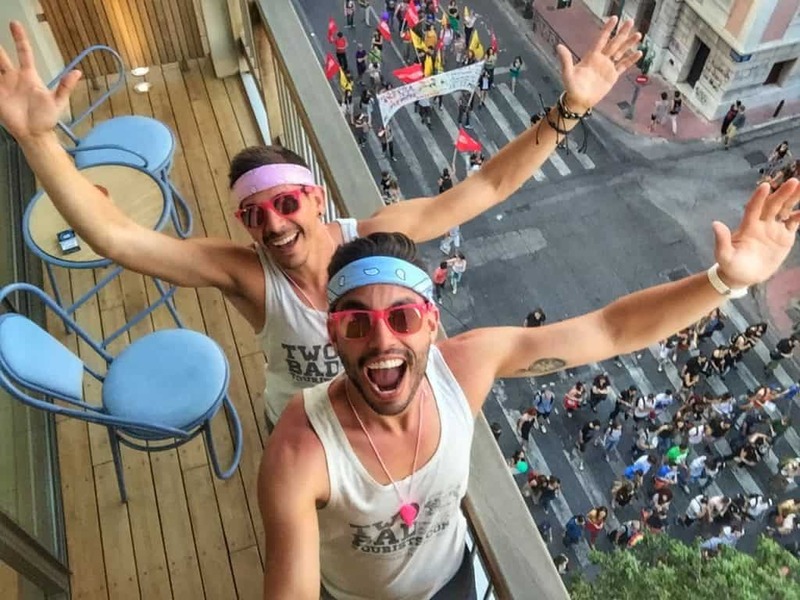 So without further adieu, here’s our top 10 list of gay travel events for 2018 – designed for the discerning gay traveler, the partier, the Disney lover, the cultural fanatic and the beachgoer – there’s sure to be something for everyone. TropOut will draw together like-minded travelers from all over the world in a bid to promote friendly, unguarded and refined travel experiences for all gay people. Travelers will head to Thailand, Malta or New Calendonia where awesome properties will play host to the chic travel experience. The week-long events will include accommodation, headline entertainment, transfers and an array of other optional add-ons. Hundreds of LGBT travelers are expected to attend TropOut’s events on this year. We attend the Thailand event in 2016 and had a blast and would recommend it to anyone interested in a diverse travel experience. Events take place in April, September & December for 2018. Special Offer! – do you want to attend? We’ve teamed up with TropOut to offer you special savings. You can save $30 on all TropOut events when booking online. Click here to request your exclusive discount code. This event located in Torremolinos, Spain features awesome parties and activities in one of the best gay beach cities in Europe. Just a brief sample of the carryings-on: a drag queen and best bum contest, barbecue, pool party, Grindr party and appearances by numerous gay-lebrities. Check their website to get the lowdown and explore your options for hotels, tickets plus this year’s 8th anniversary program and more. Plus, do your eyes a huge favor while you’re on the website and take in a video or two of the past celebrations. The event takes place from April 29th to May 6th, 2018. Special Offer! – use our special code “TWOBADTOURISTS” when booking online upgrade your wristband, Silver to Gold or Gold to Platinum. Visit their website here! From May 23rd through May 27th you could find yourself visiting and celebrating at one of the best-kept secrets in Europe. In only its 6th annual celebration, Pink Week has caught on in no uncertain terms with its Dragon’s Ball Gala, an overnight lake safari and stay-over in Ljubljana, the small nations capital. For the well cultured gay traveler, there are museums, incredible cuisine plus a hip and trendy capital city full of culture and heavenly scenery to round out the event. Hosted by Imperial Luxury Travel Solutions, it’s the first ever travel package for gays, lesbians and their friends within Slovenia. We’ll be attending the event this year so why not join us for the fun!? Special Offer – You can save 5% on Pink Week Slovenia. Just use the promo code “TWOBADTOURISTS” when booking for your discount. More info here! Sunday, June 3rd starts the free-for-all at 2018’s Tel Aviv Pride Week which runs through and wraps up on Sunday, June 10th. Tel-Aviv is quickly making a name for itself as one of the top gay destinations in the world. This is one unforgettable week, as gay tourists from all over flock their toned, chiseled bodies to get a glistening glimpse of the vibrant nightlife, outrageous parties and the must see-to-believe pride parade. OUTstanding Travel makes celebrating your Pride as seamless as possible, from accommodations at the best hotels in the city, reservations at the trendiest restaurants and insuring your entry to the most exclusive parties and fabulous events taking place during Pride. Bus tours to the Dead Sea, beach parties, sightseeing, gay bars and even more beach parties await your arrival. Special Offer – Save up to $50 or more on all tours with OUTstanding travel. Just mention TWOBADTOURISTS when booking for your discount. More info here! Italy Gay Summer Pride is the biggest Gay Beach Party in Italy. From August 31st to September 2nd, this a 4-day sensational Summer Party in one of the most beautiful undiscovered gems of Italy: Puglia, the beautiful region in the heel of the boot. The bay of Gallipoli will be the perfect set for a long weekend packed with beach, fun and sun. The best international beats will be guaranteed by international DJs from XXL London and Samsara Beach Club, one of the most exclusive beach clubs in the world. Receiving a 4.5 out of 5 star rating – this is one of the biggest LGBT events around. This festive Disney event is Gay Orlando’s answer to the start of summer. But you’ll have to make every second count because the extravaganza only lasts from June 1st through the 3rd. The event takes place each June where gays from around the country (and world!) spend the weekend at Disney World in Orlando. There are multiple parties and events that take place in the afternoons and evenings at the host hotel properties and other venues. You won’t want to wait another minute to book this visit to the happiest place on earth! Hello gorgeous! Billed as the LGBT event “for the discerning lesbian and gay traveler,” this exclusive wine country tour is filled with intimate opportunities and experiences in a setting brought to you by local owners from the Sonoma, California gay community. Luxurious accommodations, wine auctions, VIP reception, pool party, fine dining, music, dancing and some of the best wineries in the region await your arrival this year from Friday, July 20th through Sunday, July 22nd. Located only 45 minutes north of San Francisco, it is truly a breathtaking place to gather and show your pride. Arrive in Barcelona on June 25th to take full advantage of all 7 nights and 8 days worth of the celebration. By booking through Rainbow Barcelona Tours, you can assure yourself more than just beach time and parties. You can even insert some culture into the mix with sights such as Casa Macaya, Casa Calvet, Casa de les Punxes and other jewels of architecture and style. This package also includes includes additional city tours and nightlife tips with local gay guides that can answer any possible question about the city that you could ever think of (like where to go cruising, just to name a few!). This is a great option for a more personal, comfortable experience than you would normally get as an LGBT traveler with a standard hetero tour guide or group. Plus, they’ll be making a day trip to Sitges, our favorite holiday beach destination! Special Offer – You can save 100€ on the Barcelona Gay Pride package with Rainbow Gay Tours. Just mention the promo code “TWOBADTOURISTS” when booking for your discount. More info here! Circuit Festival is largest and probably the most well known gay festival in the world! Thousands of guys, a full 24 hours at one of the best (and gay!) water parks in Europe, top of the line DJs, musicians and awesome parties. This year the event runs from August 9th through the 19th. Started in Barcelona, the original festival attracts 70,000 gays from different countries to this 16 day event. Circuit Festival has also started in Ibiza for the first time in 2015 and will also expanded to Gran Canaria in 2016 during Maspalomas Pride. Consider this nothing less than the perfect island getaway. Running August 22nd through August 29th, this island of the Cyclades offers you a dream holiday with amazing clubbing and incredible parties in perfect combination – spread out over five days. Started in 2009, XLSIOR was created to combine fun, luxury and a friendly atmosphere that knows no boundaries. It takes place on the Greek island of Mykonos, now with over 30,000 people attending from all over the world. They host some of the best artists in the gay circuit scene marking an unforgettable experience with the careful selection of its open air and outdoor, breathtaking venues. Your biggest dilemma now is this: so many opportunities, events and parties – yet so little time. Which one will you choose?! 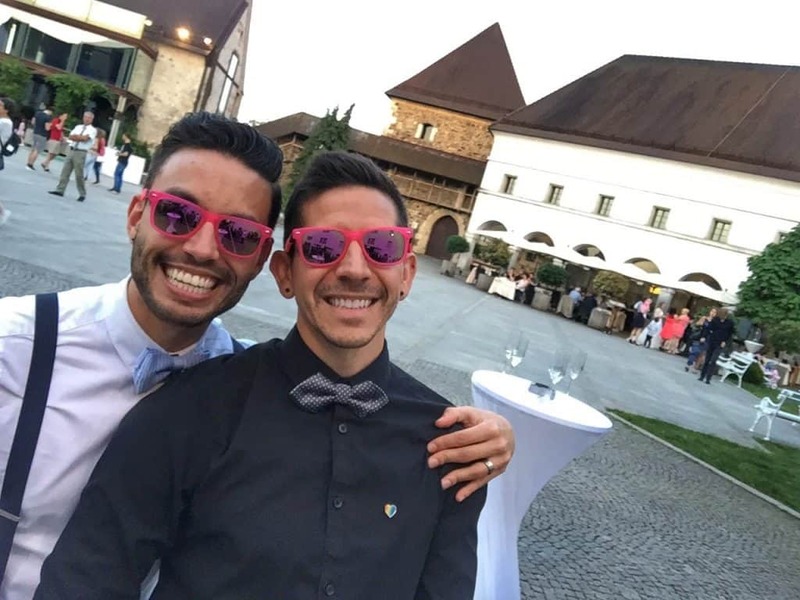 Here’s Why Slovenia is Going Gay in May!